PCN Europe: Unitronics is a name that is gaining considerable industry recognition. How old is the company? What were the first products and how did it develop? Mr. Magrafta: I joined Unitronics the same year the company was founded, in 1989. Our original goal was to execute turn-key automation projects using PLCs manufactured in-house. Each project has its requirements – and its problems. We were a young, creative startup, and so we believed in the ‘think outside the box’ approach. This creativity is embedded in the company’s DNA. It is why Unitronics has developed award-winning products in the realms of both hardware and software, and why we have a reputation as innovators in the field of industrial automation. PCN Europe: Judging by appearance alone, Unitronics products do not seem to be typical PLCs. Your new UniStream 5” is a good example. What is the concept behind this? 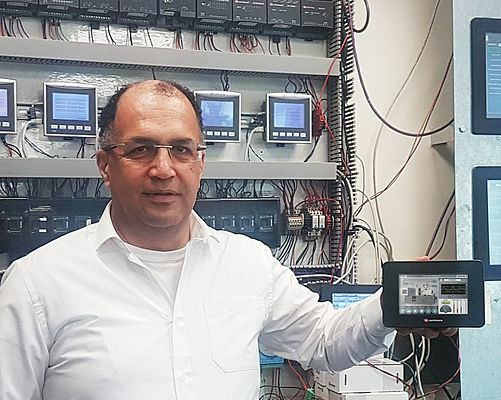 Mr. Magrafta: True – our controllers are not typical in appearance, and this is the story behind it: In those early years, an HMI was a few buttons and maybe a single-line text display. It was clear to us that the HMI was the window into the soul of the application, the absolutely best way to improve operational efficiency. And so we created what we called the “OPLC” (Operator Panel + Programmable Logic Controller). Today, we call them All-in-One PLC + HMI controllers. As far as I know, Unitronics was the very first company to create and manufacture such programmable controllers. Our products are based on this concept, and so they do not ‘look’ like typical PLCs – the front contains the HMI panel, the rear the PLC, and our controllers generally offer either built-in or snap-on I/Os. 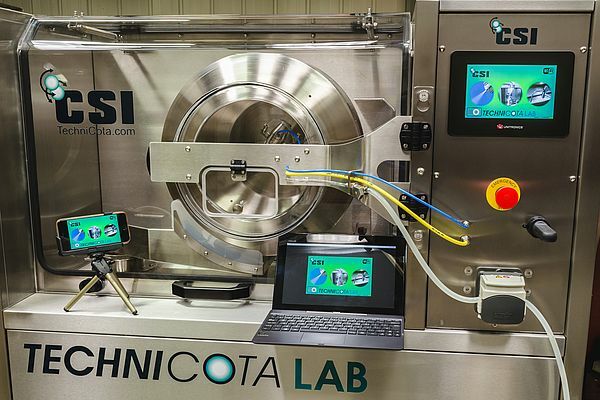 Today, common HMIs are color, resistive touch-screens. Our new UniStream 5”, like most Unitronics controllers, is a single, convenient, integrated device that you install to serve as both operating panel and PLC, which means reduced wiring, and eliminates the hassle of programming to establish PLC-to-Panel communications. PCN Europe: How does the UniStream 5” appear in terms of functionality? Mr. Magrafta: UniStream 5” is a member of our UniStream series – powerful PLCs and HMIs, embedded with multi-processors and multi-O/S (LINUX & RTOS). 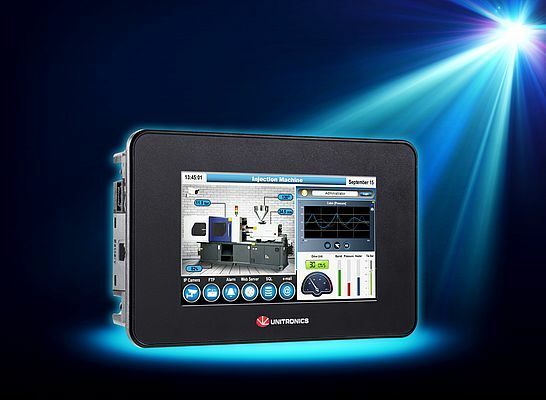 They differ in HMI screen size, 15.6”, 10.4”, 7” and now 5” – but all offer a rich range of built-in functionality. Let’s look, for example, at our set of advanced Data Tools. The Data Sampler records dynamic application data, say, tracking multiple temperature values, which UniStream regulates via embedded, auto-tuned PID. You can display the running values on the HMI screen using Trend – or Gauge – widgets. You can easily log those values into Data Tables, where you can organize and manipulate data via Ladder, or let the user do it via HMI. The PLC can export them to Excel, attach them to an email and send it – or export the values into Data Recipes, to control dynamic, complex production processes. Did I say HMI? You can do the same via your web browser – UniStream includes an embedded Web Server. Or, use your favourite VNC app to view and operate the HMI program remotely. Or take Alarms, easily configurable, multi-level Alarm displays that are compliant with the ISA standard, ANSI/ISA-18.2-2009, or UAC – multi-level User Access Control – that prevents unauthorized access. 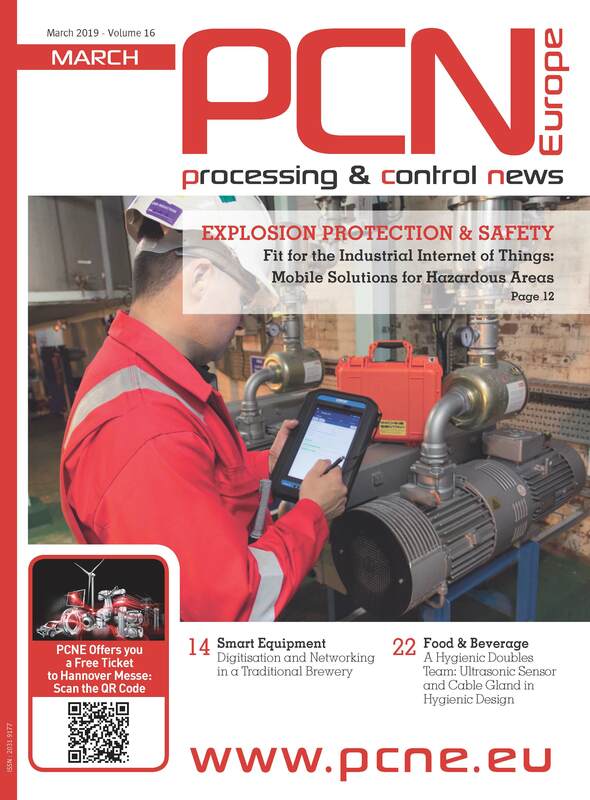 PCN Europe: What industrial sectors do your products serve? How about special requirements, e.g. for robustness under environmental conditions? Mr. Magrafta: Our controllers target a broad range of sectors: water technologies, pumps, oil & gas, power and energy, packaging, F&B – they have even been integrated into Data Centers. Many of our products are certified for hazardous environment standards, CFR-21.11, and F&B spray-and-wipe industry standards. PCN Europe: Industry 4.0 is an important issue, growing in importance every day. Which functionalities are built into your product range to support your customers in the age of 4.0? Mr. Magrafta: UniStream supports Industry 4.0 via its advanced communication features. Since the controller supports SQL Client, it can communicate via existing Ethernet infrastructure to interface with factory ERP/MRP servers. You can run tag, struct, array, and complete table queries. You can also access your controller via VNC – or web browser – and control it from a remote location. Ethernet interfaces and TCP/IP support also provide access to the PLC for file transfers (FTP) and email support, so that the PLC can send messages directly to personnel. SNMP support enables you to integrate UniStream into the IT infrastructure and manage it as an IT asset. We have more features under development: This is a major focus of our activity!